Rothwell Primary School PTA raises money to enable the school to pay for events, activities or equipment outside the normal school budget. We aim to use this money to enrich school life for all children. We are proud of the money we have raised to date and what it has been used for. In the last year we have raised money through fun activities including a cinema evening, fashion show, Halloween disco, summer bbq, Christmas wrapping room and by selling refreshments at school events. This money has been spent on things such as subsidising school trips; drinks and snacks for the Pantomime; story teller for Roald Dahl day and much, much more. 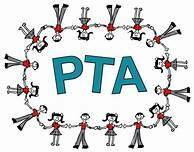 • PTA will discuss and make a decision at their next meeting (based on the amount of money requested and the number of requests we have received) Please do speak to a member of the PTA if you have any questions about the allocation of PTA funds.